The first few minutes after an emergency are critical. The Recovery Oxygen Package from Baywater Healthcare has been created to deliver immediate assistance and give you peace of mind. It is designed to provide a high flow of oxygen for use during resuscitation or to provide initial treatment to patients during a medical emergency. You don’t have to be a medical professional to use the Baywater Healthcare Recovery Oxygen Package, adequately trained first aid personnel can easily use the package. The first few minutes after an emergency are critical. The Recovery Oxygen Package from Baywater Healthcare has been created to deliver immediate assistance and give you peace of mind in case of an emergency. 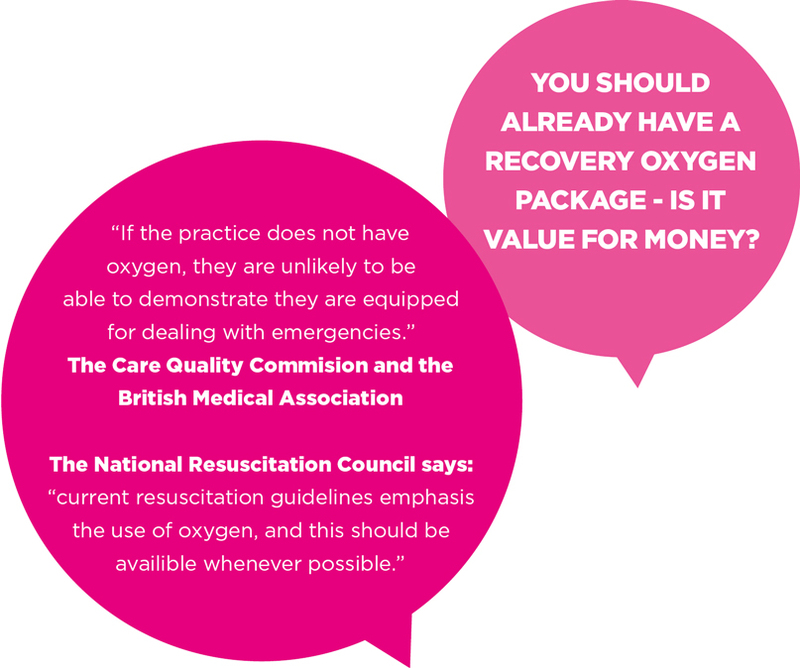 It is designed to provide a high flow of oxygen for use during resuscitation and to quickly and easily direct the user how to administer lifesaving oxygen until professional help arrives. We keep your costs down by not charging you for regular refills if you do not need them. We invoice only for actual deliveries and payment is not taken until you receive your equipment.